Mexican archaeologists say they've found a cave at the Mayan ruins of Chichen Itza with offerings of more than 150 ceramic vessels in nearly untouched condition. Mexican archaeologists say they've found a cave at the Mayan ruins of Chichen Itza with more than 150 ceramic vessels in nearly untouched condition. The scientists were searching for a sacred well at the time. 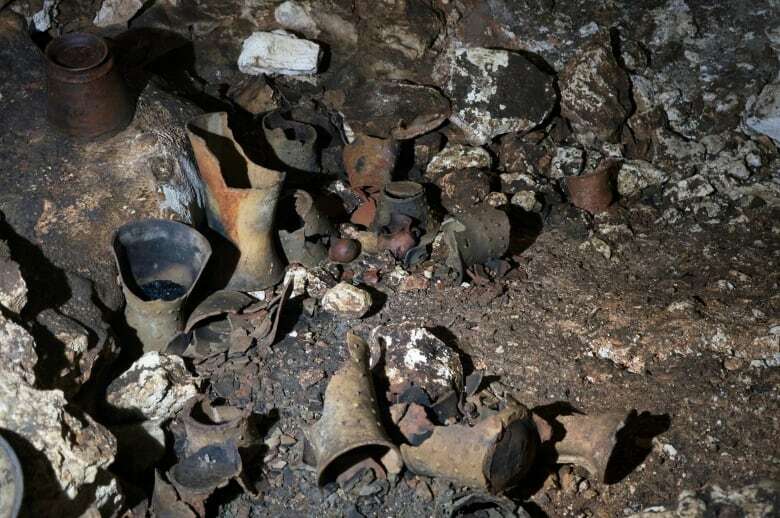 The National Institute of Anthropology and History said the vessels appear to date back to around A.D. 1000 and contain bone fragments and burnt offering materials that are being analyzed. 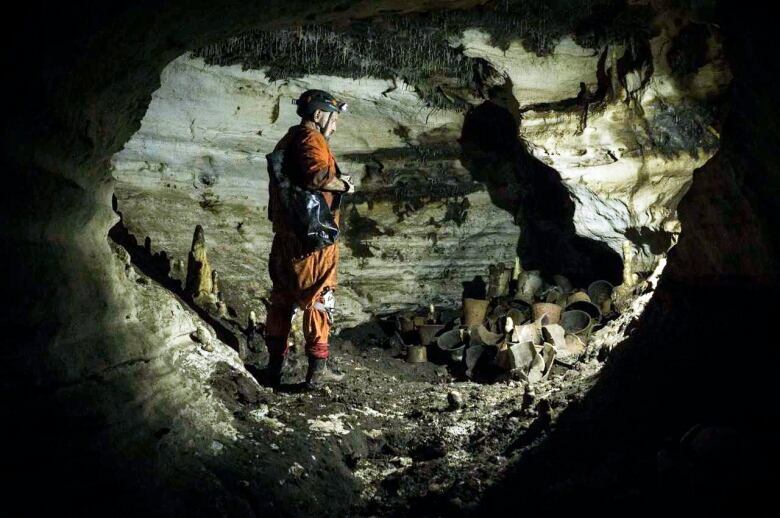 Archaeologist Guillermo de Anda said exploration of the cave began in 2018 after local Maya residents told experts about it. It turned out the cave had been discovered, but not explored, by locals about 50 years earlier. They told an archaeologist about it then, but he ordered it sealed — perhaps to protect it — and only issued a brief report that was essentially forgotten in government archives. 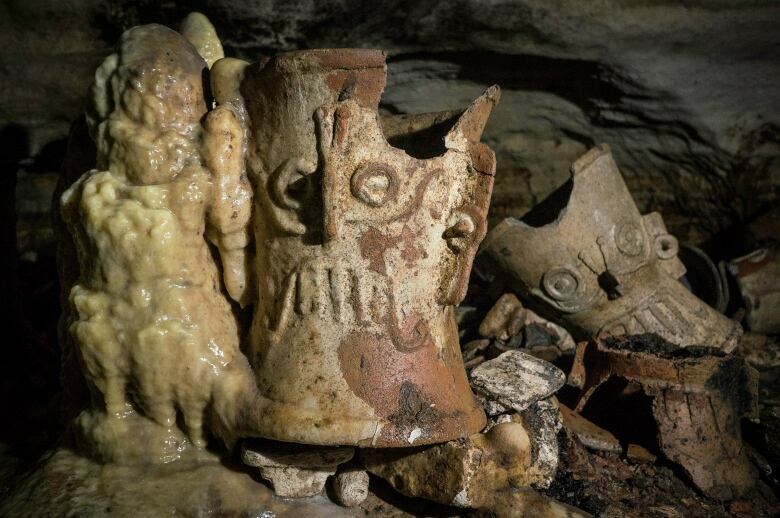 The 155 ceramic braziers and incense burners found by the experts bear the likeness of Tlaloc, the rain god of central Mexico. The Maya also had their own rain god, Chaac, and may have imported Tlaloc from other pre-Hispanic cultures. There were also clay boxes and other vessels. The team plans to leave all the objects in the cave. 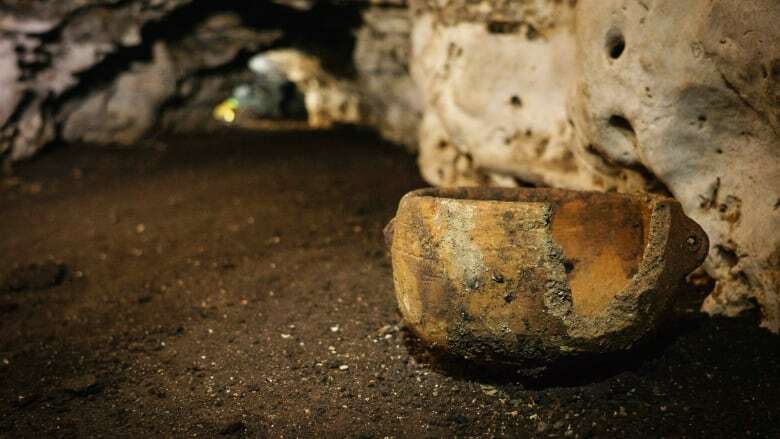 De Anda said ancient Maya had to crawl on their bellies through the extremely narrow cave to deposit the offerings inside a few larger, higher chambers. The offerings were apparently meant to ask for rain. The cave, called Balamku, is about 2.75 kilometres east of the main pyramid of Kukulkan, also known as El Castillo, "The Castle." 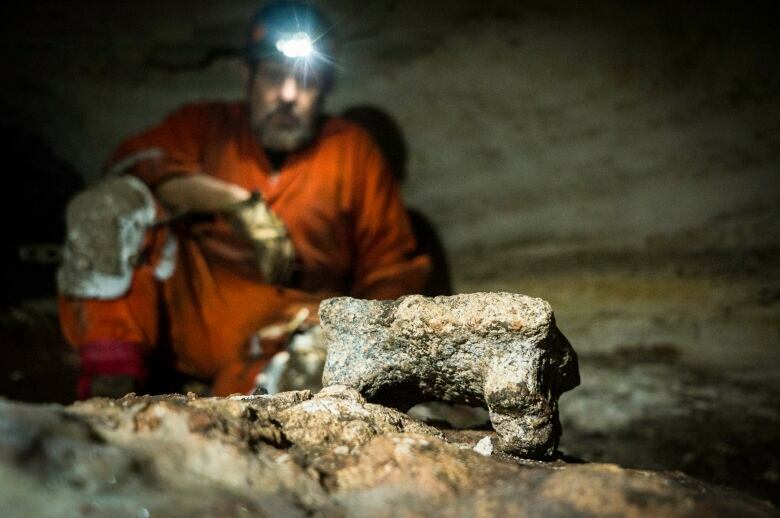 De Anda and his team are exploring Chichen Itza to establish the routes and sites of its underground water system. A series of sinkhole lakes known as cenotes are visible on the surface of the Chichen Itza site, but there are other, undiscovered water sites beneath the pyramids, patios and temples. Water was always central to Chichen Itza, whose very name means "at the mouth of the well of the Water Wizards" in Maya. 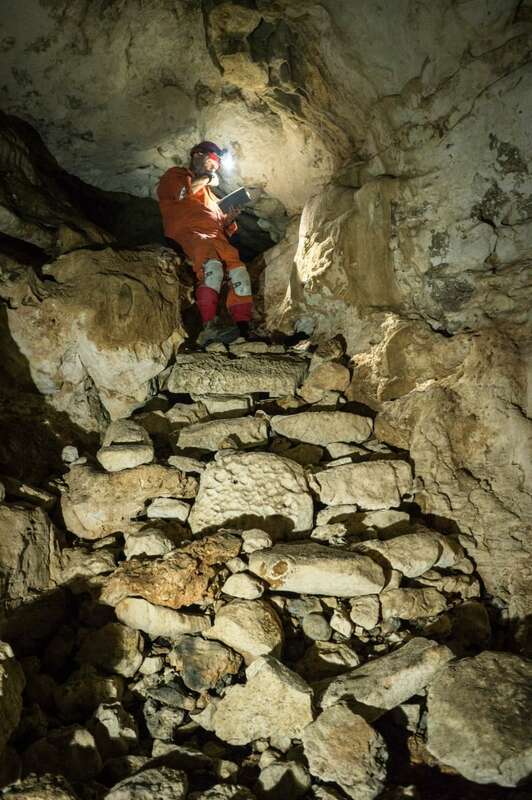 De Anda said experts have crawled a few hundred metres into the cave, which in places is just 40 centimetres tall, in hopes of finding the connection to a cenote cave believed to lie under the pyramid of Kukulkan. "Let's hope this leads us there. That is part of the reason why we are entering these sites, to find a connection to the cenote under the Castillo," De Anda said.